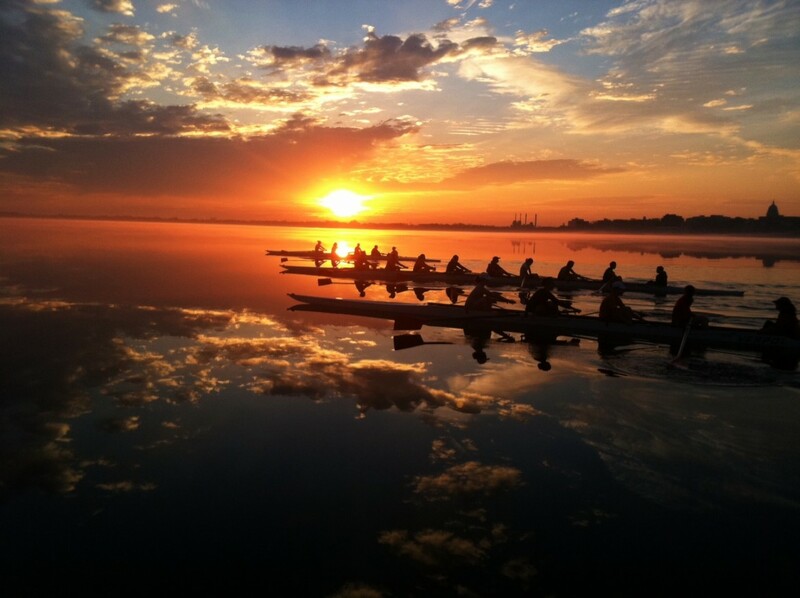 Ohio State University, Barry University and Bates College claimed the top spots in the eighth regular season USRowing/Collegiate Rowing Coaches Association Division I, II and III Collegiate Rowing Poll presented by Pocock Racing Shells. Ohio State earned 19 first-place votes and a total of 461 votes to top the Division I poll for the ninth week in a row. University of Washington moved into the No. 2 spot with two first-place votes and 434 total votes. University of Virginia claimed the No. 3 spot with 433 total votes. Also receiving first-place votes were No. 4 University of California and No. 5 Brown University, receiving two and one first-place votes respectively. In the Division II poll, Barry University earned all five first-place votes and a total of 200 votes to top the Division II poll for the seventh week in a row. Humboldt State remained in the No. 2 spot with 150 total votes, and Mercyhurst remained in the No. 3 spot to round out the top three with 141 votes. In the Division III poll, Bates College claimed the top spot for the second week in a row with all ten first-place votes, and 150 total votes. Williams College remained in the No. 2 spot with 140 total votes. Trinity College moved into the No. 3 spot with 130 votes. Other Receiving Votes: Oregon State University (30), University of Minnesota (20), University of Louisville (20), University of Iowa (12), University of San Diego (10), University of Central Florida (4). Other Receiving Votes: Merrimack College (35), Rollins College (8). Other Receiving Votes: WPI (10), Lewis and Clark College (3), Colby College (3) .